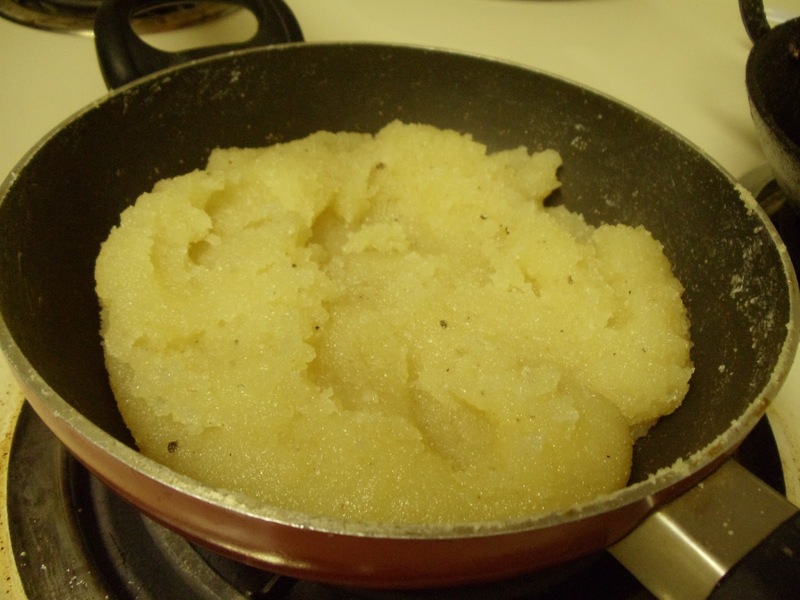 Avnasa Sheera is a popular dessert. In Konkani, avnasa means pineapple. I got this recipe from my mother. *I would not recommend adding cardamom powder, as it will over power the flavor induced by pineapple. Remove the peel and core of the pineapple. Then cut it into very small pieces. Heat Ghee in a kadai and add cashew nut and raisins. 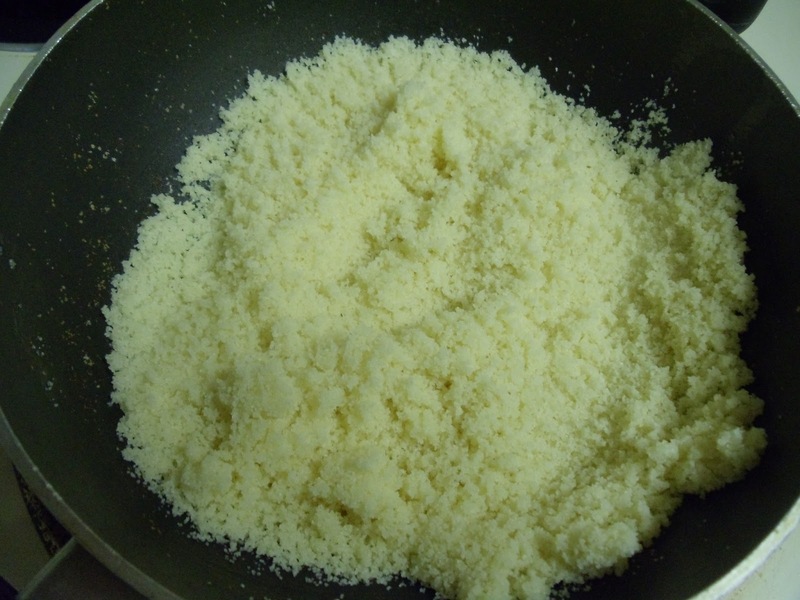 Fry for a minute and add semolina. Fry Semolina, until you get a nice aroma (when you are roasting the semolina, start heating water and saffron altogether in a different container). Once you get a nice aroma, add the chopped pineapple pieces and mix well. Fry this mixture for a minute. Now add piping hot water to the fried rava- pineapple mixture and mix well. Also add the food color (if using). 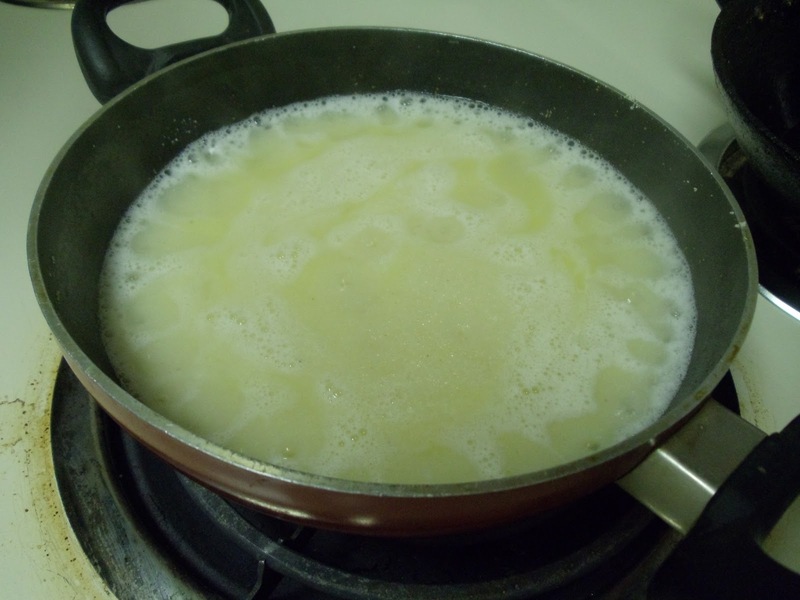 Once the water gets evaporated, add sugar and mix well. Then close it with a lid for a minute. Once everything comes together, turn off the heat. Give a good mix. Serve it warm or cold. Above measurement serves 2-3 people. Yum pudding with additional flavor of pineapple. Thanks Vijayalakshmi for the wishes. let me know how it turned out.